The titular relationship of The Poet and the Boy is defined by a one-sided and stifled passion that might still serve as a preferable alternative to no passion at all. 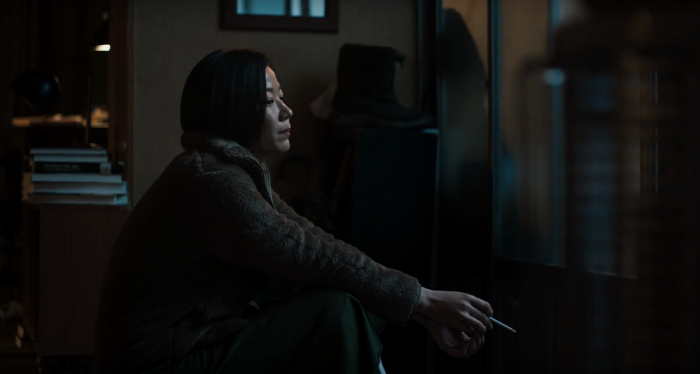 In the directorial debut of Kim Yang-hee, Yang Ik-june stars as Hyon Taek-gi, a meek and wistful figure who’s long surrendered himself to a frigid marriage of convenience before an encounter with a young man at a donut shop awakens unexpected desire and curiosity in him. As the struggling poet cautiously follows the current of these unfamiliar feelings, Taek-gi finds new emotional extremes opening up to him and channelling into his art, while the complications created by his attraction threaten to drive this timid man back into a life of suffocating mundanity. 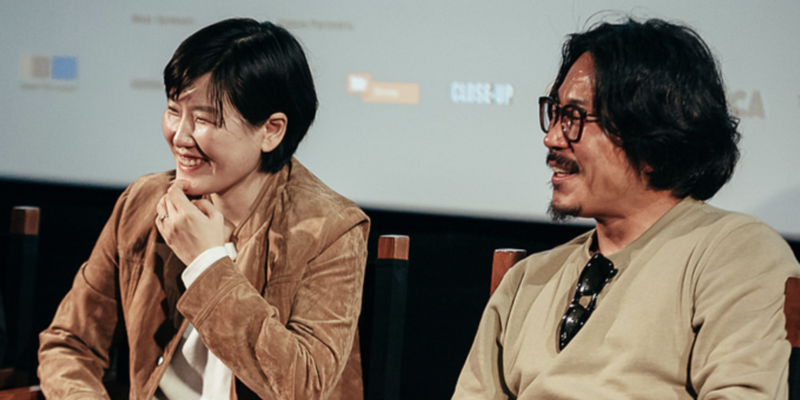 With The Poet and the Boy screening at the London Korean Film Festival, we spoke to Kim and Yang about this tender, quietly perceptive work. Kim Yang-hee: So originally I’m from Seoul and I migrated to Jeju Island seven years ago. While I was living there, I wanted to map the people I met and the nature I experienced onto film. I also met this real life poet who lives on Jeju Island. He was not yet well established, and that resonated with my own circumstances of wanting to make a film, but not being able to do so. So I really wanted to make this film showing the poet’s own personal and professional growth and development. So were you drawing from you own experiences as a filmmaker? KY: One thing that I thought about a lot is how when you’re an artist and you’re creating art in your life, there’s also a more personal and human side to you. And if the artistic side and the human side can achieve some kind of harmony, I think even artists can lead a happy life. I think this is true for every type of artist all over the world. Also, if you’re the head of a household, it’s quite difficult to be responsible for your family and be financially well. There’s continuous suffering and obstacles that you have to face in your daily reality while trying to make art. So I think I was trying to show the tension between the world and myself while going through this process of having to struggle and fight against reality. I think whether you’re a poet or a filmmaker, if you’re an artist, you’re going through a similar process. Ik-june, as a director yourself, were you able to identify with this character in a similar way? 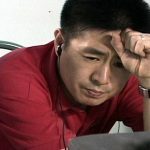 Yang Ik-june: As a human being, there’s a wish at times to live in a very pure way, but in the process of making something in life, we come up against daily, ordinary frustrations. Whether you’re a director or an actor or just an ordinary human being, there’s a wish to be able to evacuate or vent out the frustrations that you feel. In this case, you have a poet who follows his desire, and he’s also not really sure about what kind of outcome it is that he wants to achieve. He struggles and he’s lost in his own way. When he does meet the boy, he gets a bit of a hint of the kind of desire or inspiration he can get for his art, although he’s also not sure throughout whether this is the right answer for him. I think also, for us directors, when we’re preparing our film, there are many times when we’re not really sure whether it’s the right subject, whether this is a story we should and must be telling. And I think as ordinary human beings, there are many times when we have to pause and think about whether we’re going in the right direction. Although the poet comes across like a lazy bear, I think that in some ways he’s braver, in that he risks dismantling his entire life. That can be quite a frightening thing. But despite that risk, taking that into account, he wants to pursue this inspiration. The homophobia of the community has a recurring presence in the feature. Do you regard this film as a commentary or a reflection of any societal issues? KY: I don’t think I’m addressing these issues in a pre-calculated way, but I think they just naturally became part of it. Jeju Island is a very isolated place. It’s quite closed off and conservative, very family-oriented. So I think homophobia tends to be a natural response to things, and the story was just responding to what felt more realistic. Do you feel there’s still a lot of pressure to adhere to the traditional family model? KY: Socially speaking, in terms of this need to have a conventional family structure, I was born and grew up in Seoul, where it’s much freer from that and much more liberal. So I felt less pressure for myself, but when I moved to Jeju Island, I migrated by myself as a solo female, and I was seen as problematic for doing that. People gossiped a lot about it. Through the gaze in which they looked at me socially, I could feel that I wasn’t free to do as I wished. So I do think there’s definitely a difference on Jeju Island and that it does tend to be a lot more family-oriented. There’s a very sure way that you have to live your life. So yeah, I think that’s definitely more the case on Jeju Island. Hyon Taek-gi is a very introverted and emotionally repressed figure. As an actor, Ik-june, how do you channel the inner life of someone who’s so bottled up? YI: Overall, it’s a case of accepting the script, accepting the story, and of course, you can’t understand everything. I’ve never romantically loved a man, but the story’s about pursuing your desire, and that’s something I’m experiencing myself continuously. I’ve never had this experience of having feelings towards a man in my own heart, but I’m playing a role. It was difficult. I tried to get in touch with the feelings as much as possible, and to also think about the wife’s point of view, how she’s stuck in the middle of this situation. So I did a lot of thinking around that, but I think an actor doesn’t necessarily have to express emotions externally in order to show the feelings of the character. I think if an actor is feeling something, you can show that without gestures. It’s transferred through the film environment and onto the screen so the audience can feel the emotions of the actor. There are a few scenes where he’s just blankly, dumbly looking out, or where the wife is just waiting for her husband, understanding that he has feelings for this boy. So despite this not being explicitly expressed, it’s all conveyed through the temperature, the atmosphere, what the air feels like in the room. The emotion’s not being explicitly expressed but the story is told emotionally nonetheless. So the poet, while he’s riding on the bus and he stares outside and to the wind and his surroundings, you can tell from his facial expressions sort of naturally. I think the audience just gets that intuitively, rather than it being explicitly acted out. Also, bear in mind that actors don’t necessarily think about acting for an audience member, and think, ‘I need to act in this way for them to understand this feeling.’ An actor is simply a member of a collective of people making a film and being part of that environment rather than trying to prove something to the audience. KY: There’s a tendency in Korea right now to make films based on webtoons, and I’m considering a love story at the moment. The Poet and the Boy was about a love that was very difficult to achieve between the two characters, and the next project that I’m working on would be a similar case of a love that’s very difficult to come to fruition. YI: I have a desire to direct three films before I’m fifty years old. So nine years ago, I said in an interview with French magazine Positive that I wanted to make a film about children living underground, and five years ago I wrote about fifteen scenes but I’m just struggling to add more to it. I’ve got another idea for a film about a grandmother and her granddaughter, and another idea for a film with a hundred goblin monsters. These ideas need to, in a way, be industrialised. For example, in Korea it’s impossible to get funding for a film that’s just about children. So I’ll need to get international funding for that film from hopefully the UK, France and Japan and make it into a sort of coproduction. And then the film with a hundred goblin monsters – that’s a massive project and it takes a long time to prepare, so it will probably be the last film that I make before turning fifty. But despite saying all these things, this is just my wish. It’s possible that I won’t be able to shoot these before I’m fifty. 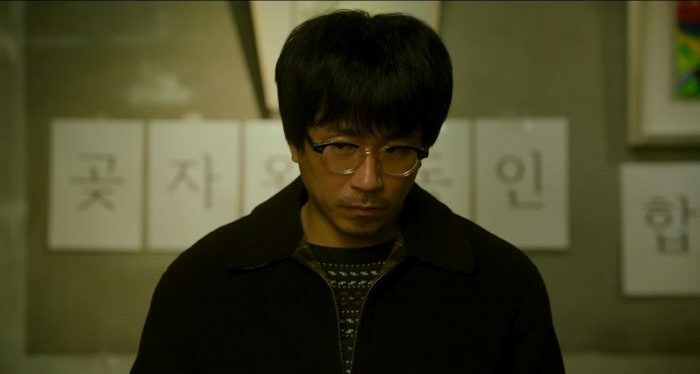 The Poet and the Boy screened as part of the 2018 London Korean Film Festival. More info here. 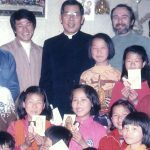 This entry was posted in ASIA, Features, Interviews and tagged Female Directors, gay films, Kim Yang-hee, Korean films, LGBTQ+ films, London Korean Film Festival, The Poet and the Boy, Yang Ik-june. Bookmark the permalink.